Our personal CD players have consistently been a popular item for schools, and the CD360 refreshes the way that students use the technology. When teachers regularly incorporate 1:1 and differentiated instruction in the classroom, they need reliable technology to meet the needs of all learners. In the face of ongoing education technology transformations, CD players have remained a staple for K-12 listening activities. 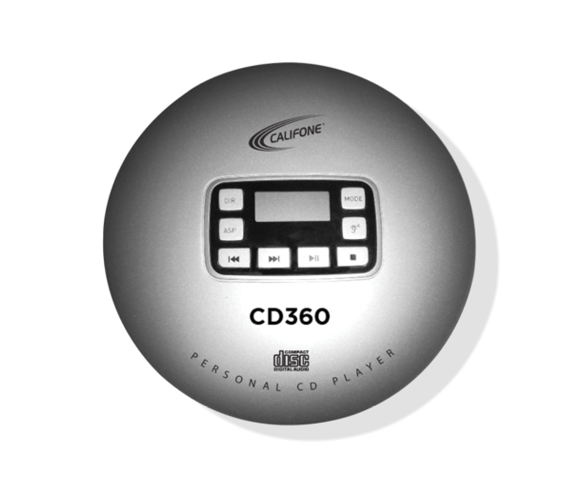 To improve the use of this established tool, Califone International, a leader in the design, development and manufacturing of audio equipment for use in education, announces the release of the CD360. Califone was founded in 1947 and continues to be a leader in the design, development and manufacturing of audiovisual products for use in education. The company’s products enable educators to incorporate rich audiovisual resources into lessons that help students build speaking and listening skills, critical to the English Language Arts portion of the Common Core State Standards. Califone offers a complete line of audio solutions, wireless systems and multimedia products for small, medium and large presentation needs, and serves millions of educators and students in the PreK through higher education school environments.